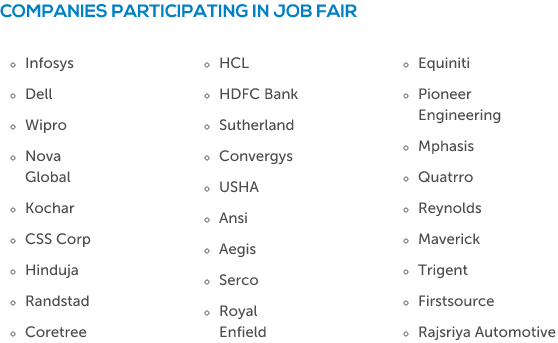 Mega Job Fair from 26 March to 29 March 2014 for 2012, 2013 & 2014 passouts. Posted in All Branches, Any Stream, Freshers, Job BUzz, Job Fair, With experience, Without Experience. 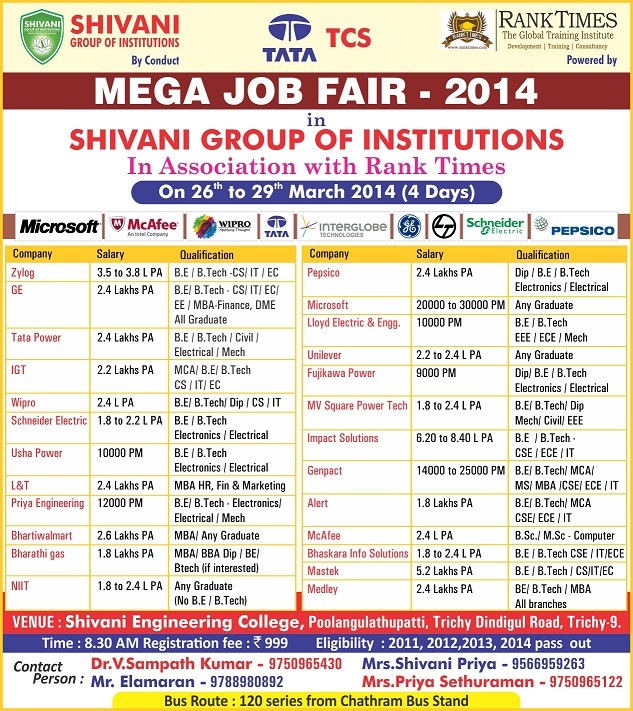 Tags: Mega Job Fair Trichy, shivani engineering college, Shivani Institutions, Top Companies Job Fair, Trichy job fair on March 25, 2014 by Lalit Joshi. PERI Institute of Technology will conduct a Job Fair for all Engineering, MBA,MCA passouts in which Top IT companies will participate. Posted in All Branches, Any Stream, Freshers, Job After Btech, Job BUzz, Job Fair, MBA, MCA, With experience, Without Experience. Tags: 23 march 2014, chennai job fair, job fair 22 march, Peri Job fair, Top Companies Job Fair on March 18, 2014 by Lalit Joshi. Razorthink | Fresher Jobs | Software Engineer Trainee | Off Campus Recruitment: 18 January, 2014. Razorthink is a cutting edge Software Product Development Company, which specializes in projects that require sophisticated backends, specifically areas such as predictive analytics, machine learning and mathematical modeling. Posted in Computer Science, Electrical and Electronics, Electronics and Communication, Electronics and Instrumentation, Freshers, IC, IT, Job After Btech, Job Fair, Off campus recruitment, Without Experience. Tags: 2014., Fresher Jobs, Off Campus Recruitment: 18 January, Razorthink, Software Engineer Trainee on January 11, 2014 by kavita joshi.